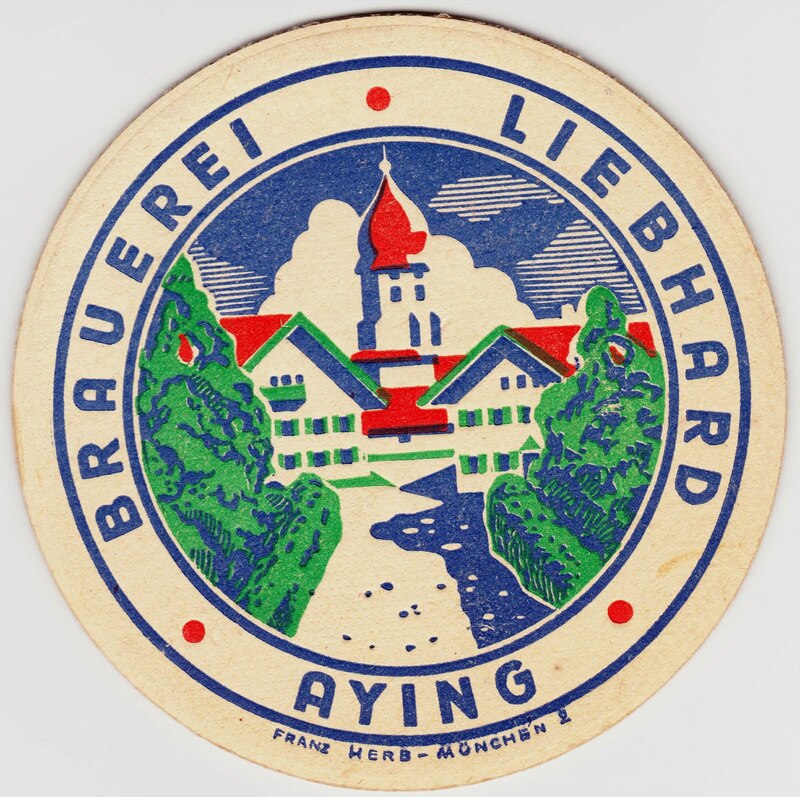 "In 1876 the father of the Ayinger Brewery, Johann Liebhard, took over the agricultural and forestry estate 'Zum Pfleger' with tavern and butcher’s shop, which had been family property since circa 1810. His wife Maria, a postmaster’s daughter from Markt Schwaben, was, as were all women of the brewing generations, the central pillar of support in the running of the business." The company's website has much more historical information and some great photos, if you want to learn more. The brewery is still going strong. It opened a new, modern facility in 1999 and proudly states: "The New Ayinger Brewery is an exemplary model of how modernity and tradition can fuse in direction-setting commitment. With our integrated concept of regional orientation we have found an effective answer to the growing lack of transparency of the German brewery environment and its beer products." 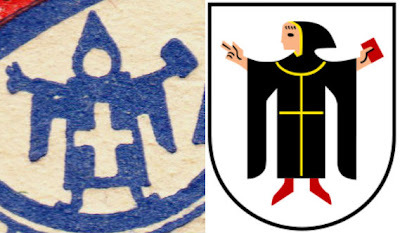 Also, there's a beer garden/restaurant in Aying named after Johann Liebhard. Read more about Liebhard's Bräustüberl zu Aying on the Munich Beer Gardens website. 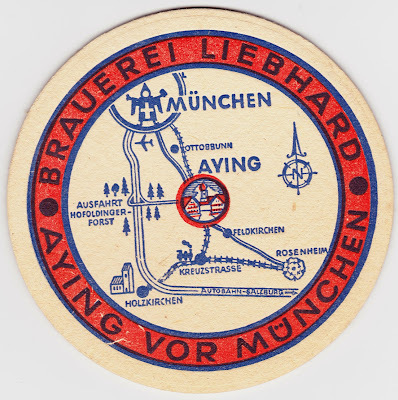 The back of the coaster features a map of the area, with Aying in the center. Aying is a municipality within the district of Munich.